In recent years we have become a partner to several internationally-renowned engineering companies that service the petrochemical industry, and our Rotoform sulphur granulation units are now operational on all six continents. Our activities range from cooperation during FEED (front-end engineering design) to EPC (engineering procurement construction) contracts, and turnkey solutions include liquid sulphur supply, solidification and downstream handling of solid sulphur* as well as utility equipment and control systems. Our product portfolio also include liquid sulphur degassing, granulation, block pouring, remelting and consulting services. * The same granulation system can be used to process sulphur, sulphur bentonite and sulphur derivates with minimal modification. We offer a full range of consulting and engineering services and can provide in-depth support with plant layout, specifications, design and equipment recommendations. Our proprietary degassing process provides an efficient solution for removing H2S from molten sulphur, with high throughput rates through a wide range of sulphur H2S levels. 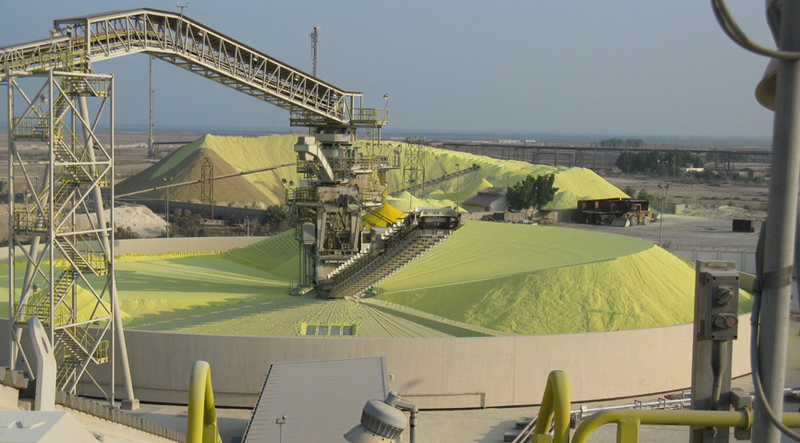 Unrivalled reliability, direct-from-the-melt pastillation and environmentally friendly operation have made Rotoform the world’s favourite premium sulphur solidification process. Our proprietary drum granulation process is the most advanced technology available on the market, providing the highest throughput rates and highest process availability in the industry, while meeting SUDIC specifications for product quality. Block pouring offers a practical and economically viable solution to the long term storage of sulphur, and we can provide the necessary equipment – pouring towers, forms, etc. – for any size of project. Our compact, self-cleaning and HSE-friendly sulphur melter designs are available in multiple sizes, ranging from small to large. We can deliver turnkey systems from receipt of molten sulphur to solidification, sulphur storage (silos or stock piles), reclamation, high-speed bagging and truck/rail/ship loading.